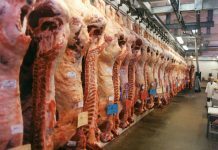 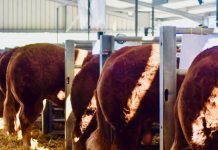 The 16th Countryside Live held in Harrogate during October welcomed a strong turnout of livestock which saw Limousin sired cattle dominate the accolades. 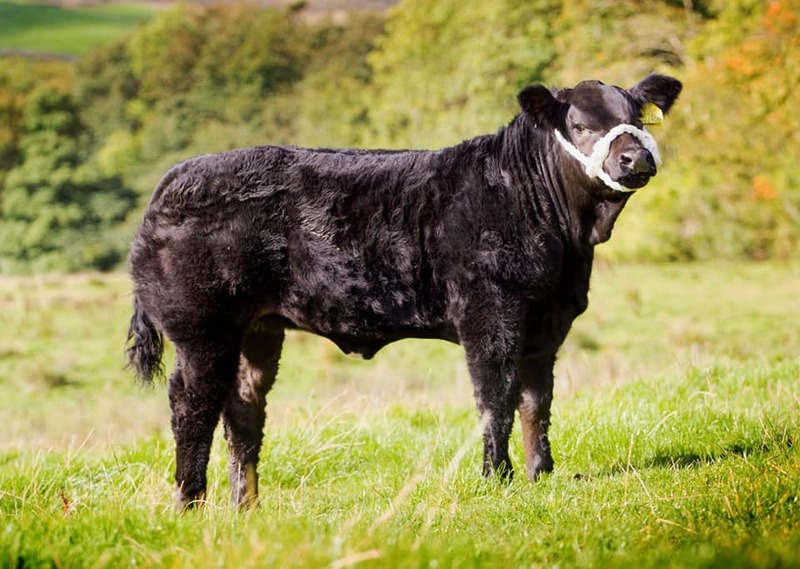 Reported in Farmers Guardian by Angela Calvert, the Supreme Championship went to Mark and Sarah Harryman and Trevor Warriner from Pickering with their home-bred heifer, Midnight Star. 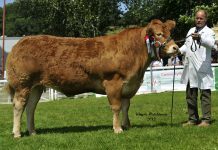 The May 2017 born 558kg Limousin sired heifer, who first took the Heifer Championship, had previously been tapped out as the Commercial Champion at the Great Yorkshire Show at the same venue in July and was Champion at Ryedale Show on her only other outing. 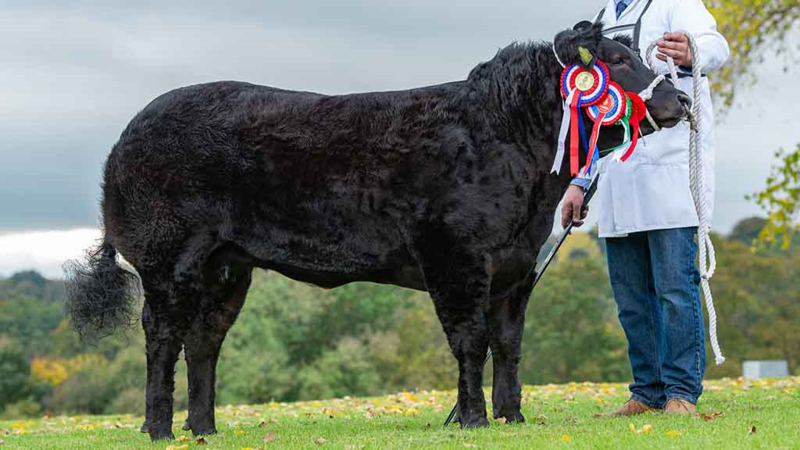 Taking the Reserve rosette was the Reserve Heifer Champion, Fancy That exhibited by Phil and Sharon Sellers, Lincolnshire. 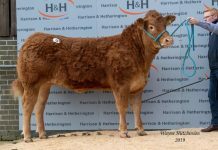 Also Limousin sired and bought from breeder, Frank Page, after being spotted at Ashby Show she too is no stranger to success having been Champion at Southwell for the Sellers back in September. 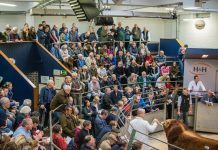 Speaking to Angela Calvert from Farmers Guardian, Judge, Wilson Peters, Crieff, said it was an outstanding turnout of cattle, but the two heifers stood out from the start, being ‘just his type,’ and the champion was a wonderful heifer which still had room to improve to be ‘spot on’ for the Christmas trade. 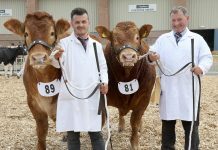 Taking the Steer Championship were Messrs. Donaldson and Little, Wigton, Cumbria with Midnight. 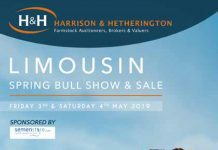 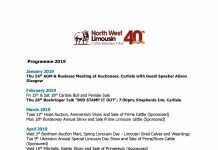 Weighing 620kg and by the Limousin, Eagleshead Exterminator, it was bought for £1,400 at Caledonian Mart, from Brian Harper, but was bred by John McAllister, Wester Tomaston, and was another winner at the Great Yorkshire earlier this year. 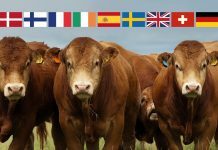 Stock by the Limousin sire, Waindale UFO, dominated the baby beef classes winning all three classes. 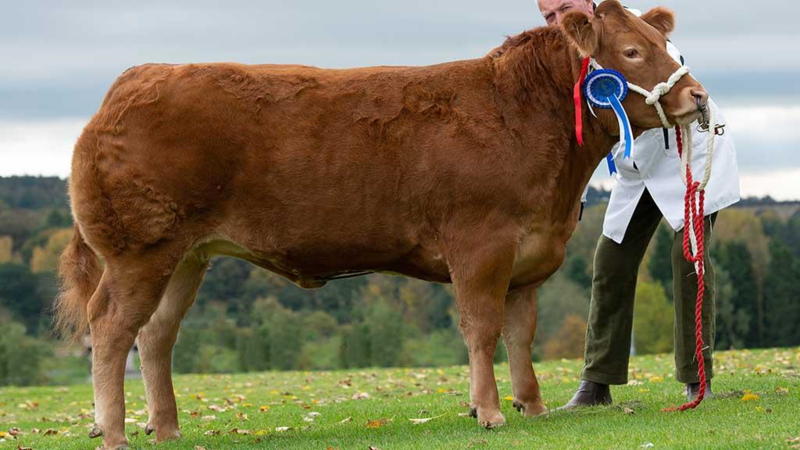 Taking the Championship on its first outing was 319kg home-bred Dancing Queen, from Jennifer Hyslop, Girvan, who also won the other heifer class with another home-bred, Queen of Hearts. 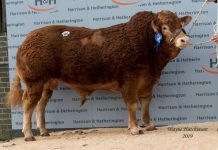 The Reserve Championship went to the steer class winner, Jaer Bomb from John Smith-Jackson, Haltwhistle, another making its show ring debut.